A Sk8-Hi MTE & Old Skool are on the way. 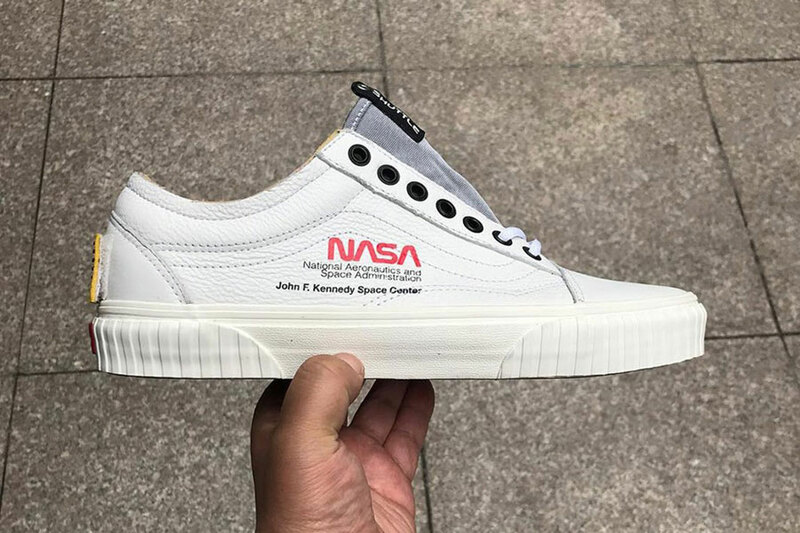 Following the initial reveal back in April, both NASA and Vans have kept mum about their collaborative collection, until now. Encompassing an Old Skool and Sk8-Hi MTE in red/white/blue and white/black/blue respectively, the two models will hit retailers on November 2, according to Foot Locker UK’s release calendar. The collection delivers removable patches and thematic prints, with Voyager influences manifesting throughout, including pull tabs on the Old Skool’s tongue that read “SHUTTLE,” and an astronaut boot-like midsole that matches the Sk8-Hi. There will also be apparel releasing alongside the two sneaker models. The NASA x Vans Old Skool and Sk8-Hi MTE will hit Foot Locker on November 2; no word on the apparel or Slip-On however — take a look at the range below. Meanwhile, NASA recently celebrated its 60th anniversary with a collaborative Anicorn watch. An extension park like the upcoming ‘Star Wars’ Land. Now available at Extra Butter.